Taki Inoue says the rumor that Aston Martin and Hyundai will participate in DTM @Tochu F1 express website. What exactly is the Rumor ... wich models?!?!? The only model Hyundai makes that would likely be worth using for such a pursuit is the Genesis Coupe. As for Aston Martin... What difference does it make? They all looks the same. NOB Taniguchi says about improvement of the deal for SGT driver on his blog. His goal is to make children have ambition to be a professional driver. For that, every racing driver must be a cool present. Every person in racing business field must cooperate to make the racing drivers shine. The most important thing is improvement of the deal of the racing drivers. He says that manufacturers should pay 100 million yen (at least 50 million yen) to every GT500 drivers. By doing that, the GT500 driver becomes a longing for the children. If the GT500 driver can not earn money, the reward of the GT300 driver will become cheaper. He says that he earns a lot by himself, so he dare to say this for young drivers. Hmm I wonder they will participate Suzuka 10 hours race or not? 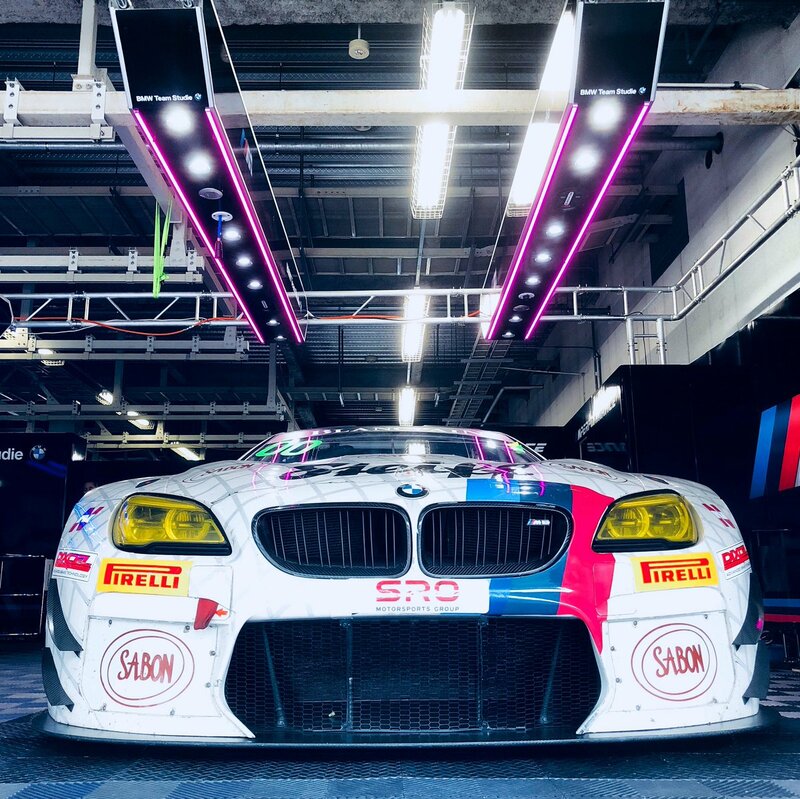 BOB Suzuki says that they brought M6GT3 to Suzuka only for PR shooting. Team GSR (#0) goes Thailand by first-class. Mugen NSX on pole for Chang! First time in a long while for them. Thanks for reminding me. 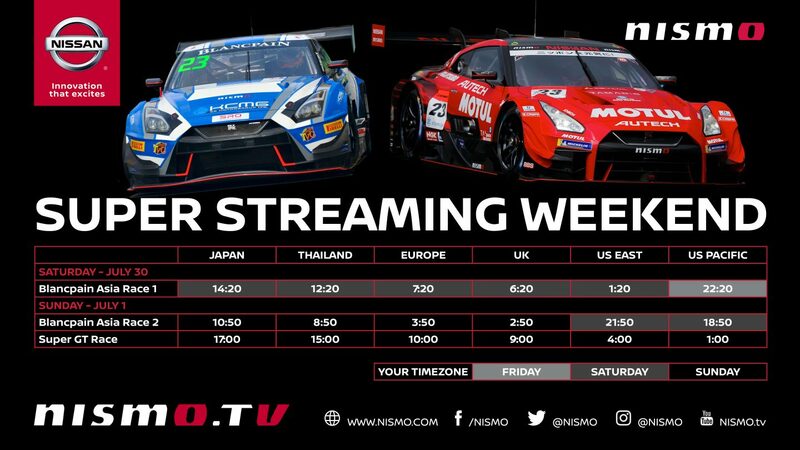 I had to dig for the stream timings; I get that Nismo want eyeballs on their website but putting it on Twitter, which is updated more than almost any other manufacturer's, is just more convenient. -2019 Thailand round will be same schedule as this year. If there is a demand, there is a possibility to hold an inter race between SGT and DTM in Thailand after 2021.
pit stop trouble of Hitotsuyama was caused by crash damage, not by air jack trouble. Good race. Those pit stops are a heart breaker. Too bad about that because some of the cars were in position for a good result. the cause of gas shortage of #36 in Thailand round was not due to Sekiguchi's high pace, but due to shortage of refueling time by mistaking of refueling rig.